It is easy to find your way to Lits Camping and Canoes. We are located just 20 minutes north east of Östersund along road E45. After passing the long bridge over Indalsälven (pictured above) there are signs pointing towards the campsite located on your right. 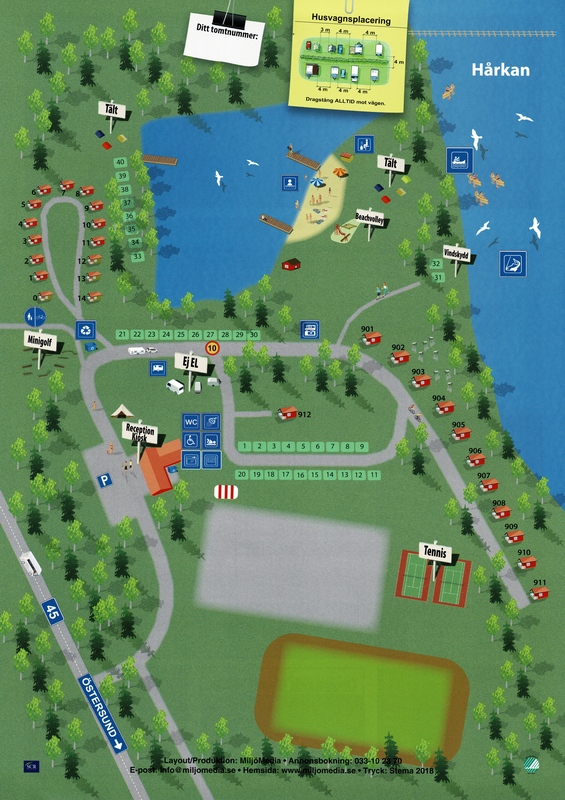 If you are coming from the north, the campsite is to your left just after you have passed the exit for Lit. You can spot the campsite from the road. Please find information below on how to get to Lits Camping by bus, train or taxi. Between Östersund and Lit you can go by local bus (lines 140-145). Tickets: 58 SEK/adult (over 20 years old), 29 SEK/child. Children under 7 years travel for free (maximum 2 children). The airport bus departs before and after each flight between the airport and Östersund city. Tickets: 90 SEK/adult, 45 SEK/child. Inlandsbanan stops at the train station in Lit during the summer season (12 June – 18 August). Walking from the train station to the campsite only takes 5 minutes. Complete your reservation at Lits Camping & Canoes easy through Sirvoy. Just click on the banner above. You are always welcome to email or call us to make a reservation. Canoe tours can only be booked over phone or email.